Using CBD oil for your self care practice can be a powerful way to create change and care for yourself. From personal experience, I can attest of the powerful benefits of this plant when added into your daily self care practice. Since I’ve recently been getting a lot of questions about what CBD to use for self care and how to use it, I’m compiling a list of three different organic hemp CBD products that you can incorporate into your daily self care routine. For me, I got started with CBD as a tool to help calm my anxiety. Each morning, I add a serving of organic hemp CBD to my matcha latte or simply put it underneath my tongue. For me, it’s been a great tool to help ease my worries and focus on what I need to get done for the day. I’ve also found that CBD is an incredibly powerful tool to help ease the pain of menstrual cramps. On days my period has me horizontal on the couch and doubled over in pain, CBD and doTERRA’s ClaryCalm help me to feel better within minutes. 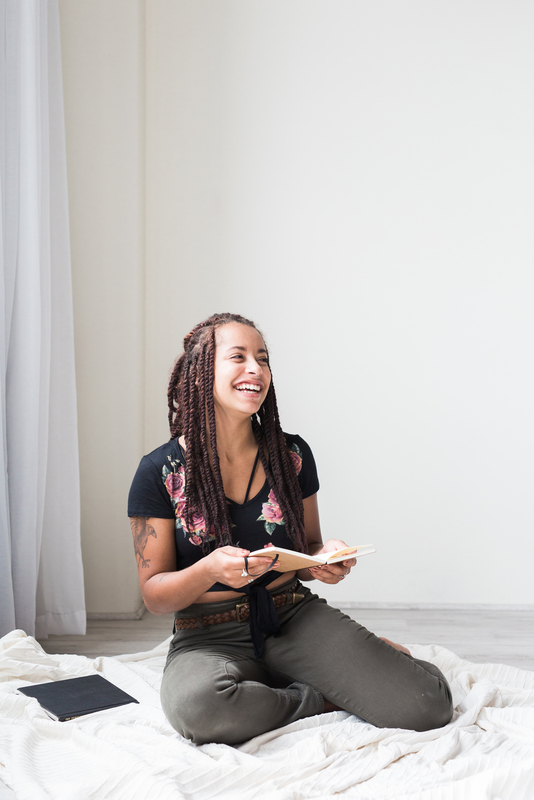 There are countless ways that CBD oil can be used for your self care practice. For me, I take it sublingually (a serving under my tongue and hold for 10-15 seconds) or add a serving to my morning tea. If I’m experiencing pain of some sort – period cramps, sore muscles, etc. – I will double up the dosage. 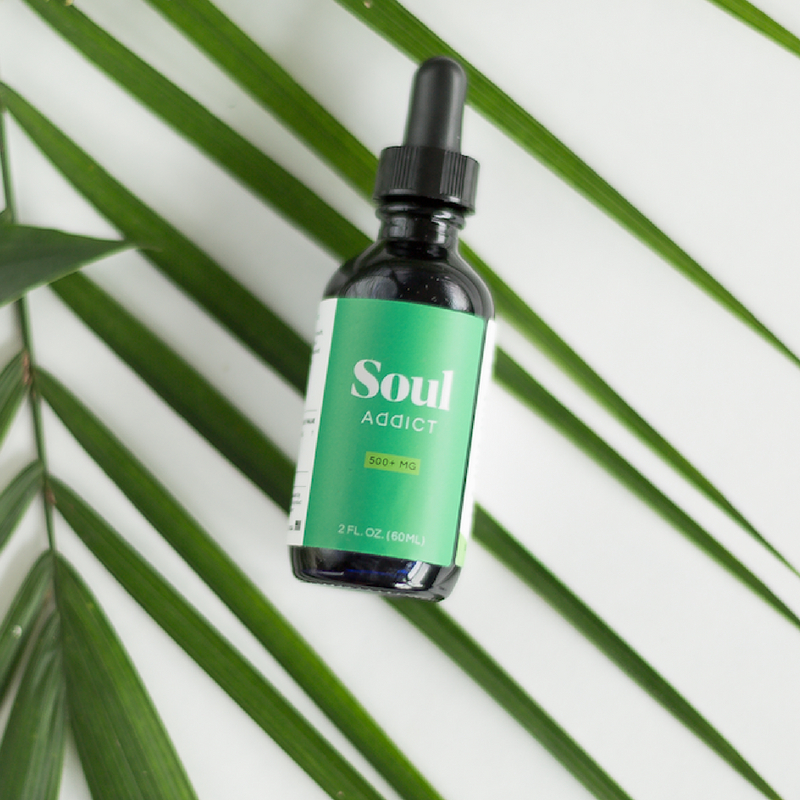 Soul Addict is the first organic hemp CBD I tried. I love Soul Addict because it’s grown in North Carolina and comes from a family farm. It doesn’t have any added flavor, so incorporating this CBD oil into whatever you’d like – matcha, coffee, smoothies, etc. – is very simple! Like I mentioned above, I’ve been using Soul Addict to help ease my menstrual cramps and also to soften my daily anxious feelings. It’s truly become such an important part of my daily routine and I know I can safely rely on this tool when needed, especially when cramps get the best of me. I was introduced to Cannaroo through my mom who made friends with the founder while out to dinner in Lexington, KY. Based in Nashville with hemp plants in Kentucky’s fertile soils, they produce high-quality hemp CBD. I ended up testing the product with a friend who suffers from Arthritis and here’s what he had to say. I have a pretty incredible story about the 1500mg full-spectrum CBD from Cannaroo. There’s a local guy in our neighborhood who goes by the name of Coyote. Coyote is a 61-year-old organic horticulturist who is constantly using his hands to work. Unfortunately, through this physical work, he also suffers from arthritis and chronic inflammation that makes his daily job painful and exhausting. Coyote was suffering to the point where it hurt him to walk down the stairs or more than a hundred feet, which is no way to live a life that’s demands constant movement. We decided to give Coyote a daily dose of this 1500mg full-spectrum CBD approximately every 6-8 hours for 1 week. Coyote is also sleeping better and is experiencing more sensation in his feet than ever before. Also, Coyote told me that he loved the peppermint and key lime flavor options and hasn’t stopped sharing his new found love for CBD with his friends around town. Cannaroo offers a variety of organic hemp CBD-based products with varying levels of CBD, so be sure to check out their entire selection! Another way to incorporate CBD oil into your self-care practice is through a topical cream. Cannaroo offers their CBD pain relief cream in a cooling menthol variety. If you’re someone who is struggling with joint pain, arthritis, or sore muscles, the topical cream method might be a great choice for you! Adding in just one drop of doTERRA Deep Blue® to your daily use could take your self-care game to the next level. Trust me, your muscles will thank you!